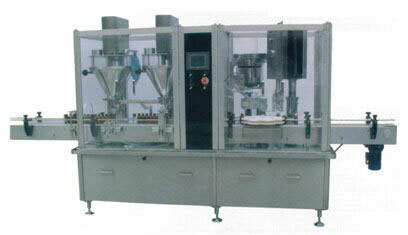 Powder filling and capping are set on one machine stand. Servo motor pushes screw rod. Filling volume is set on touch-screen.